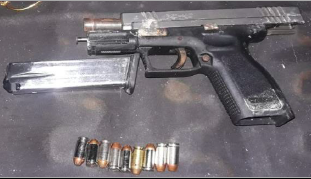 Police have recovered two illegal firearms from the streets of New Providence, and taken three persons into custody, in two separate incidents. Nassau, Bahamas - In the first incident, according to reports, shortly after 3:00pm, Thursday, 27th December, 2018, Drug Enforcement Officers conducted a search of a home and vehicle of an adult male situated at Third Street, Coconut Grove and recovered a 9 millimeter pistol and six (6) rounds of ammunition. The male who was present during the time of the search was taken into custody. 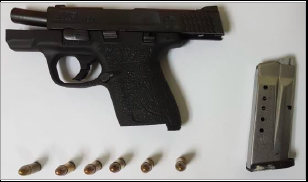 In the second incident, according to reports, shortly before 5:00am, Friday, 28th December, 2018, Flying Squad Officers conducted a search of a home on Hay Street off East Street, and recovered a .40 pistol with nine (9) rounds of ammunition. An adult male and female who were home at the time, were taken into custody. The suspects in both matters are expected to be formally charged before a Magistrate Court next week. Police took an adult male into custody, Thursday, 27th December, 2018, after a quantity of suspected dangerous drugs were recovered. According to reports, shortly after 3:00pm, Drug Enforcement Officers, while on duty at Lynden Pindling International Airport, acting on information, conducted a search of the luggage of an adult Canadian Male, who had just arrived on a flight from London, and recovered six (6) packages of suspected Heroin. Weight of the drugs: 9.5 lbs. The Royal Bahamas Police Force wishes to notify members of the public that it’s Firearms Licensing Office on University Boulevard will be open to customers from Monday to Friday between the hours of 9am - 4pm. Effective 1st December, 2018 through 12th January, 2019 the Firearms Licensing Office (New Providence) will be open every Saturday from 9:00am to 1:00om to assist members of the public. All Firearms Licenses expires as of 31st December, 2018. After 14th January, 2019 a late fee of $50.00 will be added to each firearm license at the time of renewal. Firearm License Holders, who have not already done so, are asked to visit the office to renew their licenses.